In today’s world, information is everywhere, and you must share the information, documentation and other files. We sometimes download the files from the internet and sometimes receives files via emails etc. We normally think that only EXE files are dangerous but in actual any file downloaded from the internet can be dangerous. Microsoft office handles these files very intelligently and makes sure that you are getting the maximum protection. 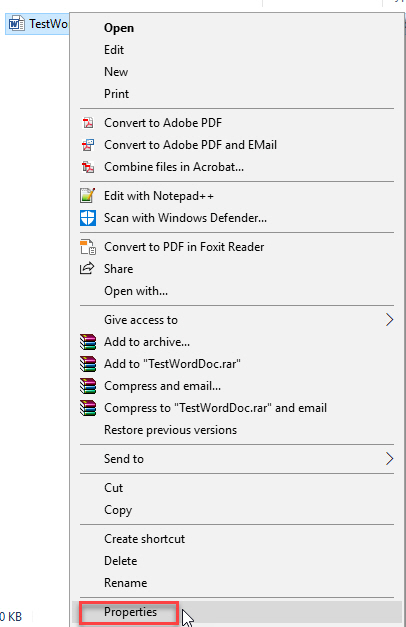 When you open the file in Microsoft Office, it doesn’t allow you to edit the file unless you explicitly allow editing. But when you are always sure about the file then you can disable this feature by following these steps. Open the folder that contains the files which have Protected View status. Select the file Right-click it, and then click on properties option from the menu. 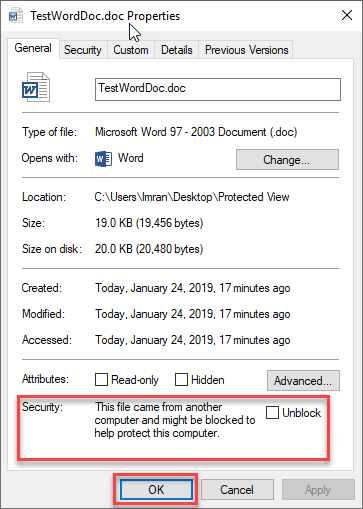 In properties, Under General tab, you will Security option states, “This file came from another computer and might be blocked to help protect this computer”. Next to this statement, you will see check-box option “Unblock”. Click on the check box and then click on OK button. Once done, now whenever you open this file, you will never get “Protected View”. These settings are applied to all Microsoft Office files like MS Word, MS PowerPoint, MS Excel spreadsheet. These settings are file specific settings that means these settings are only applicable to the file where you have applied these settings and it will not work on any other files. You must unblock other files if you want to disable the protected view. We normally apply these settings to the files we trust so that whenever we open, we don’t get this notification.